Prescription drugs are powerful medical tools and must be used carefully. Careless or overworked doctors, nurses, and pharmacists may make serious errors, however, resulting in injury to unsuspecting patients. 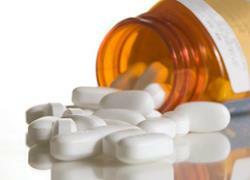 Thousands of men, women, and children across the country fall victim to medication errors every year. According to the American Academy of Pediatrics (AAP), the safe administration of medications to infants and children in hospitals requires safeguards beyond those employed for adults. As a result, the AAP has urged pediatricians to aid in the development of more effective methods of prescribing and administering medications to children as well as reporting medication errors. Your child’s well-being is among the most precious things in life. If your child has been injured by a mistake in the prescribing or dispensing of medication, call child medication-error attorney Jeff Killino at 877-875-2927 for assistance in obtaining the compensation your child deserves. Children’s bodies are very different from the bodies of adults, so that certain medications approved for adults become very dangerous when taken by children. If your child’s doctor or pediatrician has prescribed a medication unsuitable for your child, he or she may be responsible for any side effects or injuries your child suffered as a result. Attorney Jeff Killino understands fully that monetary legal awards can never truly compensate for a child’s injury. Yet, obtaining the help necessary to your child’s recovery from an injury may often be very expensive. A successful lawsuit brought against those responsible for your child’s injuries can help you acquire the financial wherewithal to obtain the care and attention your child needs and deserves. Legal liability for injuries caused by medication errors may attach to any number of individuals or entities, depending on the circumstances of the error that caused the injury in question. Medical personnel may be liable for negligently prescribing or dispensing medication, while equipment manufacturers may be liable for medication errors resulting from equipment that inaccurately measures the dosage of medication given. An action for Medical Malpractice may be brought against medical personnel whose negligence in prescribing or dispensing medication is a cause of injury to a child. Doctors who prescribe medication that is inappropriate for children, generally–or inappropriate for a particular child—may be liable in damages for injuries sustained by a child to whom the medication is given. A physician may also be found liable in a medical-malpractice negligence action for prescribing an improper dose of medication that would have been safe for a child if administered in a proper dose. Likewise, if a doctor has prescribed the proper dose of a medication that is safe for the child in question, but a nurse or other medical personnel administers an improper dose, that individual may be liable for the injuries suffered by the child as a result. Hospitals and other health-care facilities may also be held liable in negligence for medication-error injuries sustained by children under their care. If such a facility is found to have been negligent with regard to the hiring and/or training of medical personnel, it may be found liable for injuries suffered by a child as a result of the negligent actions or inactions of such personnel. Such facilities may also be held liable if their failure to properly inspect or maintain hospital equipment results in a medication error that is a cause of a child’s injury. Certain equipment malfunctions that lead to injury-causing errors in medication may lead to liability on the part of the equipment’s manufacturer and anyone else in the chain of distribution of the equipment in question. A machine that determines the correct dose of chemotherapy for a young patient may malfunction and dispense an injury-causing dose. If the malfunction is due to a defect in the machine’s manufacture or design, the manufacturer and anyone else in the machine’s chain of distribution may be held liable in a product-liability action for the child’s resulting injuries. Medication errors are not uncommon. Any one or several of the above-described individuals or entities may be named as defendants in a medication-error case. An experienced medication-error attorney, such as Jeff Killino, will determine who may be liable for the injuries your child has sustained and which actions may be brought against them. If your child has sustained medication-error injuries due to someone’s negligence or an equipment malfunction, you may be entitled to legal damages from those responsible. Contact child medication-error lawyer Jeff Killino today at 877-875-2927 to learn more about your legal options.